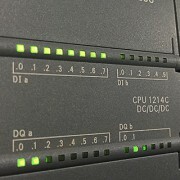 The visualization of automation processes is a considerable interface between the automation system and the operator and for this reason our operator interfaces are designed to be user friendly, so if needed quick and easy access is possible. The visualization set up is designed clearly and simple so that the functional operator interface explains itself. Should external systems or plant components, be used we then create the necessary interface to deliver a uniformed process control technology for the whole plant.